Hi im Mariela from One Happy Mess and im guest posting for my friend Carol who is on vacation. 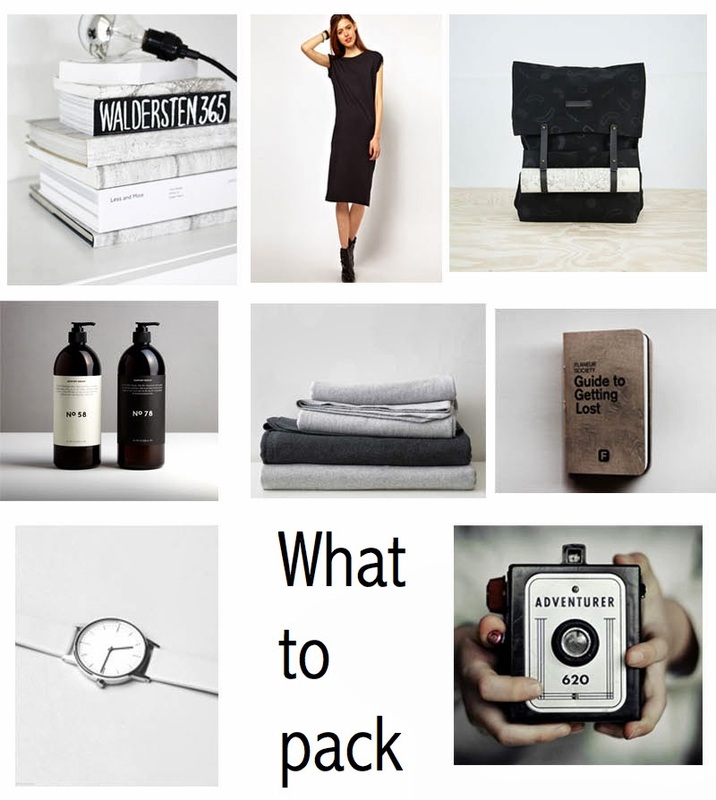 Who doesnt like holidays and go away for few days even more, but is very important to know what to pack, here ill give you some ideas for when is your time to vacation. Hola soy Mariela de One Happy Mess y estoy publicando para mi amiga Carol que esta de vacaciones. A quien no le gustan los descansos e irse por algunos días que mejor, pero es muy importante saber que empacar, aquí te doy unas ideas para cuando toquen tus vacaciones. The books Convoy, The backpack This is paper shop, Bathroom products All things stylish, Journal robotcosmonau, clothes Asos, Blankets pinterest, Clock Ilaurens, Camera Pinterest.